Yesterday I painted the tiller arm and bike rack on the stern AFTER I had painted the gunwale at the bow. The tiller and bike rake look great but the bow looks c@#p! Jan has volunteered to do the painting in future provided I clean the brushes. Jan has been busy baking. A fresh loaf of bread for lunch where I managed to snag the end crust and clover it with a slice of butter <yum>! She also baked a large blackberry and apple pudding. It will probably take me a week to munch my way through it! Both of us appear to be coming down with something. Slightly sore throats and sniffs. We’re also feeling rather lethargic. Our strategy is to stay inside Waiouru and dose ourselves with vitamin C.
Oh….. best of luck for the test tomorrow Jaq! If you have a blog or read blogs have you noticed some Blogger templates are thin with a wide band on the left and right. It seems to be a waste of space. Of course it could be that the blog writer is using a smaller screen than your own! 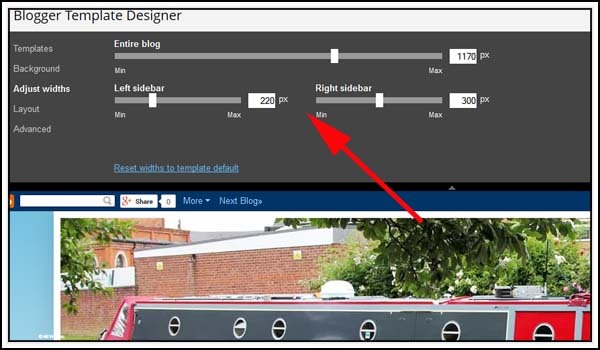 However there is a relatively easy way to change the width of a Blogger template to maximise the available screen width. Click on the slide bars to adjust the widths of the various columns. When you have finished playing around reconfiguring your template click on ‘View Blog’ to preview your changes. 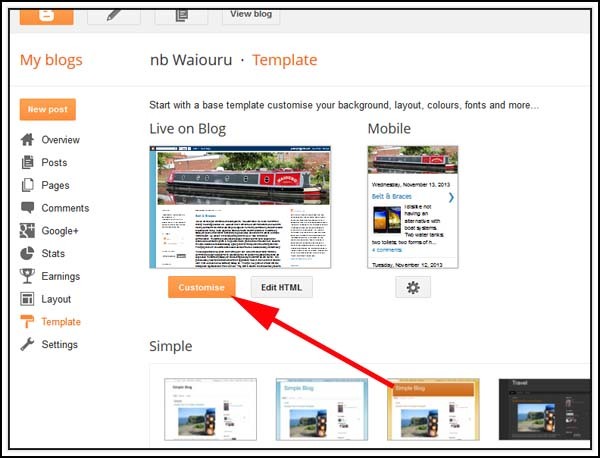 When you are happy with the layout make sure you click the orange ‘Apply to Blog’ button in the top right corner of the screen. The first time I did this in Blogger I needed to alter the html code. 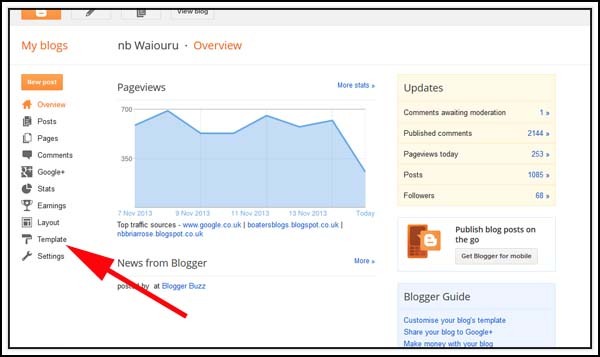 But Blogger has now made it much easier with these sliding bars. If you don't like cleaning brushes get a Brush Mate. These can hold 4 or 20 brushes and keep them suitable for use at any time. I bought one when we had the boat and only change the pad inside every 6 months. I can thus touch up the various colours when ever I need to without having to clean the brushes afterwards. The painter at the boatyard also had a Brush Mate. My concern was where to store it? In the garden shed with the big green noisy thing I suppose!